Ted Swartz of Ted & Co. will present Bridgewater College’s Fall Spiritual Focus on Tuesday, Sept. 27, in the Carter Center for Worship and Music. Swartz will present “The Big Story” at 9:30 a.m. and “Laughter is Sacred Space” at 7:30 p.m. Sponsored by the Office of Spiritual Life and Bridgewater College Active Minds respectively, both performances are free and open to the public. In the morning, Swartz uses thought-provoking humor to tell “The Big Story” of the whole Bible in 60 minutes or less. In “Laughter is Sacred Space,” Swartz walks the audience through his relationship with friend and business partner, Lee Eshleman, who took his own life in 2007. Using multi-media, Swartz explores the paradox of working with a comedic partner struggling with bipolar disorder, as well as the challenge of writing and performing stories about God while experiencing the absence of God following Eshleman’s death. Swartz, a writer and actor who combines theater and a seminary education, has been in the business for more than 20 years. 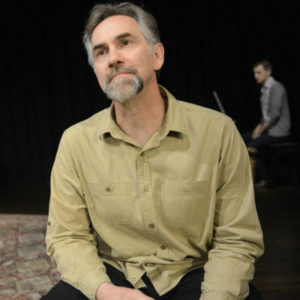 He is owner and creative director of Ted & Co., a professional touring company based in Harrisonburg, Va.
Swartz is the creator or co-creator of more than a dozen plays, which he performs across the United States and around the globe. Bridgewater College is a private, four-year liberal arts college located in the Central Shenandoah Valley of Virginia. Founded in 1880, it was the state’s first private, coeducational college. Today, Bridgewater College is home to nearly 1,900 students.